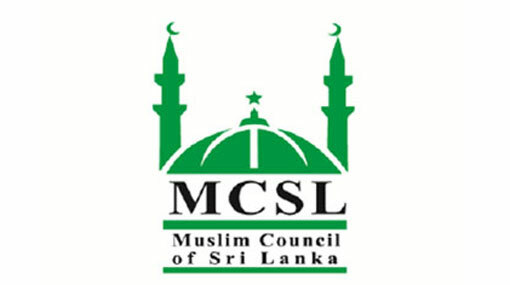 The Muslim Council of Sri Lanka (MCSL) says that it is seriously concerned about the statement made in Parliament by Minister of Justice Wijedasa Rajapaksa, regarding Sri Lankan Muslims joining the Islamic State (IS) in Syria. “The Minister has implied that 32 Muslims have joined the ISIS recently. We strongly object to this misplaced statement,” MCSL President N.M. Ameen said in a statement. “It is believed that one family had gone to Syria to provide humanitarian support to the war wounded and refugees. Some of the men are alleged to have joined or forced to join the fighting forces of ISIS,” he said. The Muslim community, including the Muslim Council, Jamiathul Ulema and other organizations cooperated with the government in identifying the families to provide the necessary support for the intelligence agencies to investigate, the statement said. He said that Wijedasa Rajapakse’s statement comes at a very opportune time to certain extremist elements bent on tarnishing the image of the Muslim community for reasons only best known to them. The Thableeq Jamath, Sunnath Jamath, Thowheed Jamath and Jamaithe Islam and several other organizations are all Muslim religious and social service organisations. They do not promote any form of violence as implied by Wijedasa Rajapaksa, the Muslim Council emphasized. “Certain parts of his statement are verbatim of the hate speech spewed by the extremist priest Ven. Galagoda Aththe Gnanasara Thero,” Mr Ameen said. Twenty-three Muslim Religious and Civil Society organizations headed by the All Ceylon Jamiathul Ulema issued a statement condemning the speech made by SLTJ’s. This is something that we would do irrespective of race or religion as we would expect from our governments in power, the MCSL said. “As alleged by the Minister, no Muslim international school invites extremists to indoctrinate its children with fundamentalism. Such has been the language of certain countries who created terrorists out of Madrasas in Pakistan to achieve their own ends,” the statement added. The Muslim Council urged Wijedasa Rajapaksa to provide the evidence and take immediate action against anyone may have violated the laws of the land irrespective of ethnicity or religion.